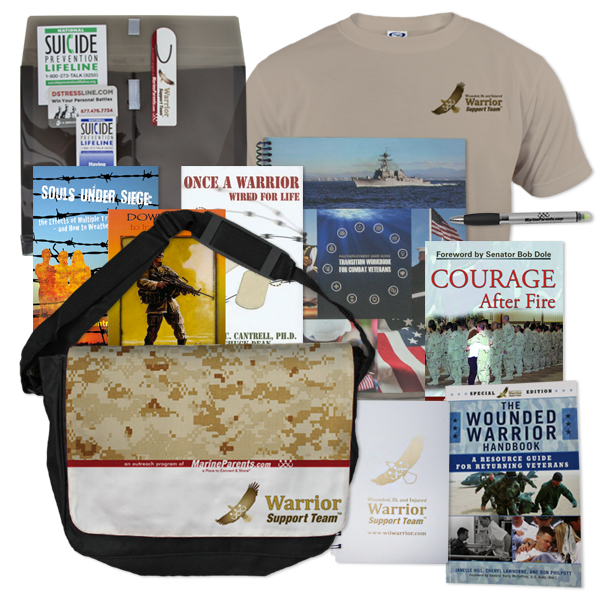 You Can Help Fund Warrior Reintegration Bags! 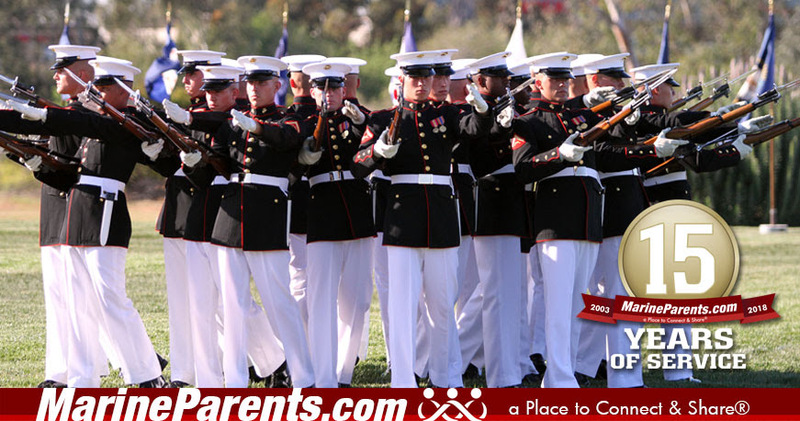 MarineParents.com, Inc.® believes that the highest obligation and privilege of citizenship is that of ensuring that all men and women who have borne arms for our country are cared for and supported in an adequate manner upon their return to America and reintegration into society. 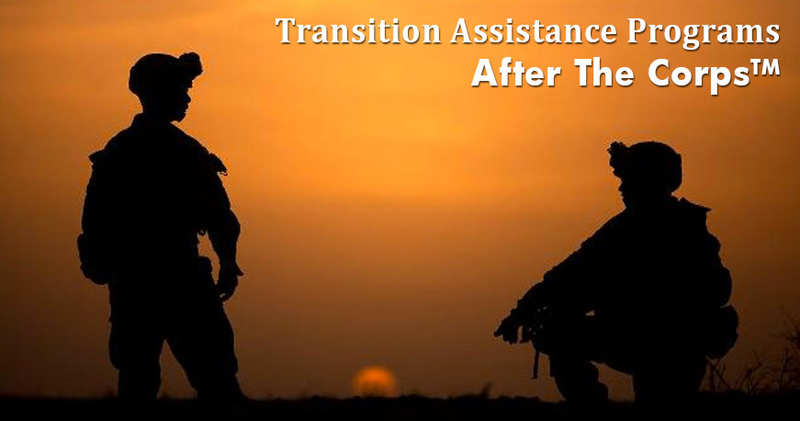 Our Warrior Support Team™ (WST) strives to provide resources and fellowship to wounded, ill, and injured troops and veterans, including those living with post-traumatic stress, as well as to provide resources and support to family members. Some of those resources are included in our Warrior Reintegration Bags. You can find more information about our Warrior Reintegration Bags in our first article. 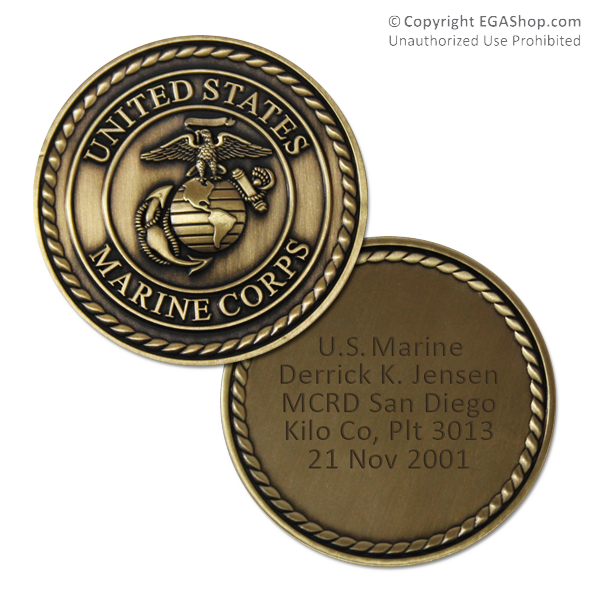 Hurry, get your Custom Engraved Coins today! MarineParents and the EGA Shop had the opportunity to support the 75th Anniversary Reunion event for the Marine Corps unit VMFA-323 "Death Rattlers" on August 3rd. 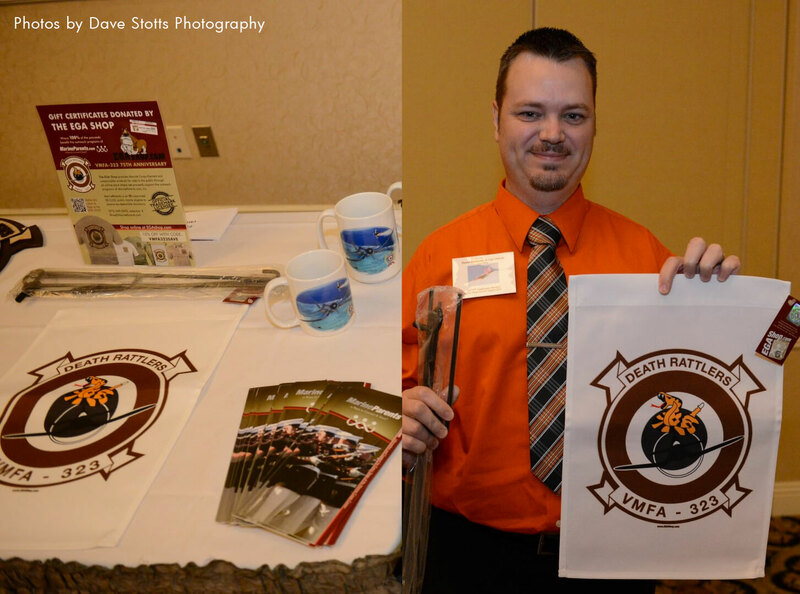 The EGA Shop provided a VMFA-323 unit crest garden flag and three $75 gift certificates as raffle prizes. The gift certificates can be used to purchase custom VMFA-323 shirts, flags, and banners in our online store. Click here to shop VMFA-323 . Dale is the West Coast Manager of the Warrior Support Team serving dinner each week to the Wounded Warrior Battalion at the Naval Medical Center, San Diego as well as a member of Team Marine Parents. 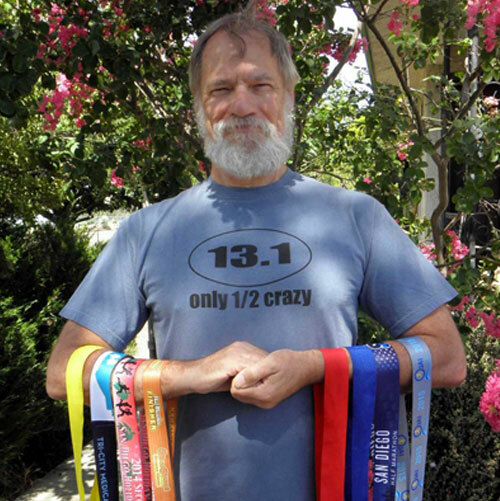 After recovering from cancer in late 2014, Dale set a personal goal to run a half marathon each month. Linda is not new to running marathons. She ran the Boston Marathon in 2013 and 2014 and the Marine Corps Marathon in 2017. 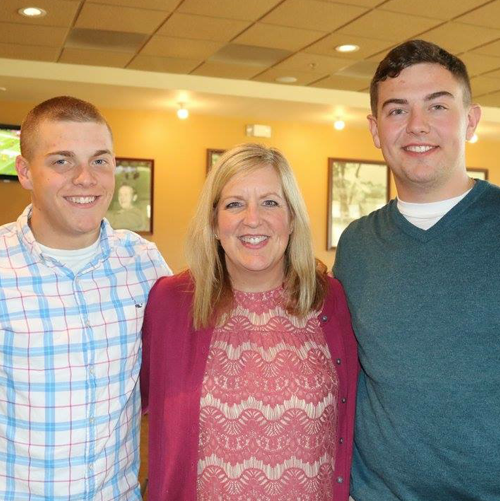 She has two Marine sons who she uses as motivation to continue running. Linda is participating in the Marine Corps Marathon this year in Washington, D.C.
Over 50 Marines, poolees, and families in all stages of the Corps went to Odell Park, New Hampshire on August 11th for a day of field games and activities hosted by Ssgt. Brian Jenkins, RSS Concord. Cody Dumont, a representative from the Marine Corps League, was present and introduced Diana Dungan, the volunteer presenter for MarineParents.com. Diana spoke to the crowd on the talking points we provided and met individually with families for the rest of the day about resources and information available to them through MarineParents.com and the Facebook pages. ﻿Ssgt. Jenkins looks forward to holding more events with us. 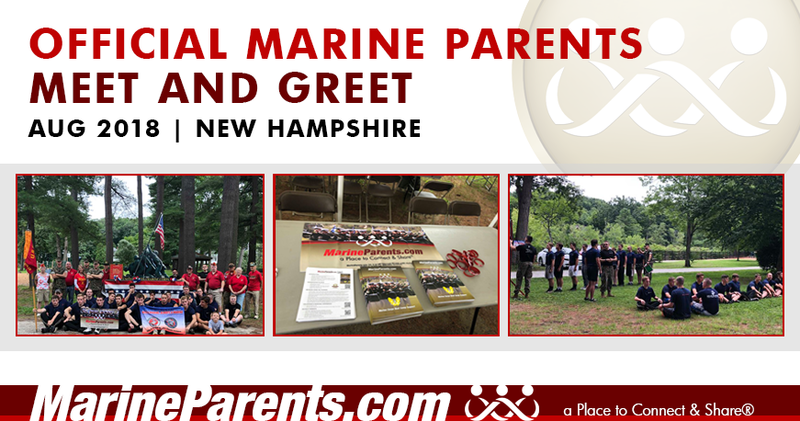 MarineParents looks forward to working with him again at another New Hampshire event on September, 8th. 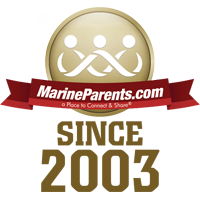 The Official MarineParents.com Facebook groups are not only a Place to Connect & Share®; the groups are educational, too. 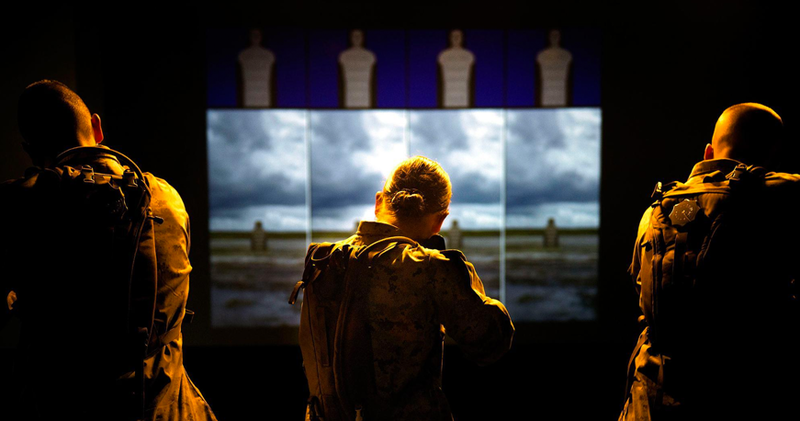 We have different groups for each stage of your recruit or Marine's career in the Corps and afterward. We have over 100 active Facebook groups and there are over 121,000 members in our groups. Our trained volunteers and moderators share curriculum topics from each of our websites to help group members learn about various stages of boot camp, schooling, the Marine Corps, Life in the Corps, and After the Corps.